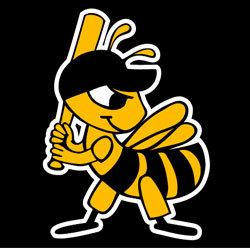 The Salt Lake Bees are the Triple-A affiliate of the Los Angeles Angels of Anaheim. Since the franchise’s return to Salt Lake City in 1994, the team has welcomed over eight million fans to Spring Mobile Ballpark while the club has reached the Pacific Coast League Finals twice. Major League Baseball greats such as Torii Hunter, David Ortiz, LaTroy Hawkins and Francisco Rodriguez have played for Salt Lake.